Download a .pdf of SPC News June 2018 edition. 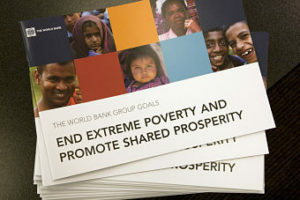 Bending the Arc of Poverty Featuring World Bank Group President Jim Yong Kim and Chief Economist Kaushik Basu. 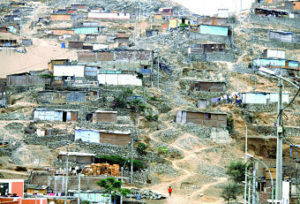 World Bank Photo Collection. flickr cc. John Maynard Keynes, reflecting in 1933 on the road to recovery after the Great Depression, wrote, “It is not an engineering problem or an agricultural problem. It is not even a business problem … nor is it a banking problem. On the contrary, it is, in the strictest sense … a blend of economic theory with the art of statesmanship, a problem of political economy”. We each have our own sense of what ‘statesmanship’ is about, but, for me at least, it is about leadership and caring about people and outcomes. The Federal Treasurer, Scott Morrison, handed down the Australian Government budget on 8 May. Seemingly aligned with Keynes’s comments, the budget “sets out the economic and fiscal outlook for Australia, and includes expenditure and revenue estimates for the current financial year”, and “shows the Government’s social and political priorities”. Two of our authors critique the social priorities of the Government finding the budget in various dimensions falling short in Keynes’s “art of statesmanship”. Many Australian states and territories are doing their best with the resources at their disposal. However, the problems we are experiencing in housing and homelessness must be driven by a national strategy, using the levers available to the Commonwealth Government, and ensuring funding is available to meet the scale of need now and into the future. Last year’s promising beginning in housing investment appears to have been a one-off, rather than the much-needed starting point for the future. While some low-medium income earners gain a little from taxation changes in this budget, there’s nothing for those surviving on the lowest income support payments. The rhetoric of this budget unequivocally favours those lucky enough to be in the paid workforce, and judges those who are missing out as undeserving. The Vatican has launched a stringent critique of widespread abuses in global economies, driving astonishing degrees of inequality, threatening ecological sustainability, and unleashing powerful reactionary political forces in response, as seen in parts of Europe and elsewhere. The issues are keenly pertinent in Australia, as we see in the Australian Royal Commission into banking and financial services. Even in our hallowed financial institutions, there has been a corrosion of ethical practice and a culture of greed that has resulted at times in outright fraud and corruption. Australia’s handling of its relations with China is rapidly descending into farce. Geoff Raby’s recent excellent piece in Pearls & Irritations makes abundantly clear the principal factor at work, namely a nostalgic attachment to the US-led regional and global order of previous years. This is the mindset driving our security establishment, which, as Raby explains, comprises primarily Defence, ONA, ASIO, ISIS, the International Division in Prime Minister and Cabinet, and a range of think tanks which see themselves as the guardians of orthodoxy on security matters. 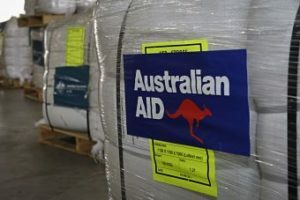 At some point, either this Australian Government or the next one will be compelled to take international development and the role of Australian aid seriously. Development and diplomacy are effective (and cost-effective) tools for advancing the region’s prosperity and security. It enhances Australia’s best interests more than a tunnel-visioned reliance on defensiveness and fear. A rich, skilled, and strong country like Australia ought to walk confidently in the world, and a rethink of the role of the development cooperation must be part of this. This demands leadership and clarity of vision, not just from politicians and the aid sector, but also from Australians working in many fields who can contribute their expertise and their voices to overcoming the mindset of fear and negativity that has bedevilled us for so long. With the canonisation of Pope Paul VI approaching in October, Stefan Gigacz outlines his collaboration with Canon Joseph Cardijn in promoting the social activism of Catholic lay men and women, particularly the young. Stefan has just completed a major new study on Cardijn. 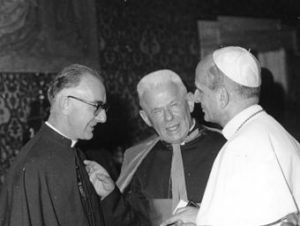 “Montini became well known for his close relationship with Cardijn and the YCW. “They say that I am a friend of the YCW. I accept it”, he told a meeting of workers in Canada in 1951. “Perhaps I am not worthy of the title, but I want to deserve it, so I will try even harder to understand your work and support it”, he continued. 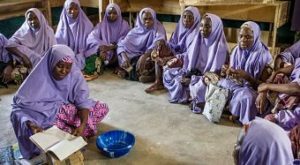 A women’s savings club in Nigeria. USAID/Flickr, CC BY-NC. 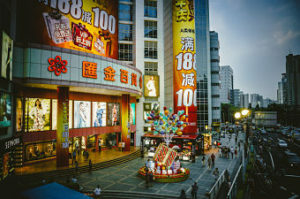 Giving small loans to people for small household purchases or to invest in businesses has been an integral part of Australian, American and other aid programs for decades. This is called ‘microfinance’, and the aim is not only to alleviate poverty, but also to empower women. But simply improving a woman’s economic situation does not necessarily increase equality. Increasing women’s economic engagement often increases their work burden on top of all the unpaid labour they do. It can also challenge established gender roles and power hierarchies, causing conflict in the home, and even domestic violence. 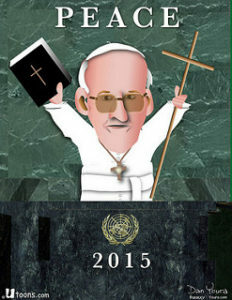 Cartoon “Pope at UN”, courtesy Dan Youra. flickr cc. For information, contact Dr Bruce Duncan CSsR 0409 897 971 | b.duncan@ytu.edu.au. For an appointment, contact YTU Reception 03 9890 3771 #9 | admin@ytu.edu.au. This 12-week unit at Yarra Theological Union within the University of Divinity, under the title Equity & Sustainability, examines the convergence between Pope Francis and the program of the SDGs. Pope Francis worked closely with designers of the SDGs to help align the moral energies of the churches and world religions with efforts to overcome the challenges of global inequality and threats to the environment, especially from climate change. Is it time for a Just Peace framework? 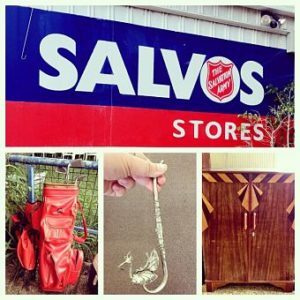 Entry by donation. Refreshments available afterwards. 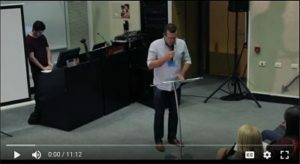 Recently returned from a meeting in France of Pax Christi International, Caesar D’Mello will talk on how Church and other networks are questioning the effectiveness of ‘just war’ thinking, and are reconsidering non-violent methods for promoting human rights, social change, and sustainable peace. Caesar D’Mello is a Consultant on ‘development’, peace, and conflict concerns, and the impact of mass tourism and climate change on the Global South. As director of the Ecumenical Coalition On Tourism (ECOT) from 2007-2012, a worldwide ministry of churches from the Global South, Caesar operated from Thailand. 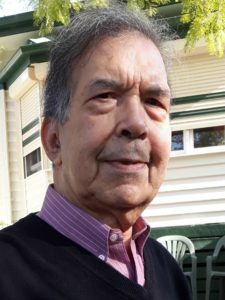 Prior to this, he was director of Christian World Service (CWS), National Council of Churches in Australia, after having worked in various capacities at this agency. Caesar is associated with a number of groups, including Religions for Peace (formerly World Conference on Religion & Peace), the Asia-Pacific Assembly of the YMCAs (APAY), and the Palestine Alternative Tourism Group. He has spoken and written widely, including editing Deconstructing Tourism: Who Benefits? A Theological Reading from the Global South (2014). His earlier appointments included Education Officer at the Australian Commission for Justice & Peace, and Program Director at the Manila-based Radio Veritas Asia of the Federation of Asian Bishops’ Conferences.